Short of a seven year old fawning over the prize in a Happy Meal, not too many people go to McDonald’s because they serve the “best” hamburgers. Now if you are looking for a great value, their dollar McDouble could certainly fit the bill. If you are driving down the highway, hungry, take the next exit and find yourself with limited choices of food; gas station, local mom & pop’s and a McDonald’s, you may choose to go to McDonald’s since you know what to expect. When backpacking through Europe in college, McDonald’s was a friendly site. I had limited funds and wanted to make sure I knew what I was getting. McDonald’s in Paris, France or Paris, Tennessee serve the same burger and fries. You can’t tell the difference. McDonald’s has the corner on consistency. Now I’m not going to get into some long winded speech about making sure your food is consistent. We’ll save that for the Restaurant Basics 101 Class. The consistency I want to talk about is your performance. I have uncovered the secret of success. OK, maybe not the “one” secret, but a damn important one. It is consistent action! I can give you the best catering software, present you with over five hundred proven marketing campaigns on a silver platter and tell you what to say word for word with a catering prospect; however, every one of my tools, strategies and systems is absolutely worthless without consistent action; the key word being consistent. Losing weight is a perfect example of harnessing the power of consistency to reach your goal. Be it Weight Watchers, Nutri-Systems or your doctor; they all preach the same basics. You need to burn more calories than you take in. The effect is called weight loss. You can do that via exercise or calorie counting. They both work well. In conjunction, they work even better. However, you must have a slow and steady plan to take off the weight and keep it off. You can probably drop a quick five pounds with starvation, pills, etc., but it won’t stay off. It’s consistently focusing on what you eat and your exercise that will yield the results. You may only take off a half a pound a week, but at the end of the year, you’re twenty-six pounds lighter. Measurement goes hand in hand with consistency. If you measure your daily calorie intake and calories burned through exercise, you can get instant feedback to the effect. I have an iPhone App called My Fitness Pal. It allows you to set your current weight and your weight loss goal. Each day you enter foods eaten and exercise accomplished. Their database is loaded with just about every food imaginable; even those from popular restaurants and food manufacturers. At the end of the day when you log out, the app let’s you know what you’ll weigh in five weeks based on consistent repetition of the day’s habits. Any worthwhile outcome requires consistent action. 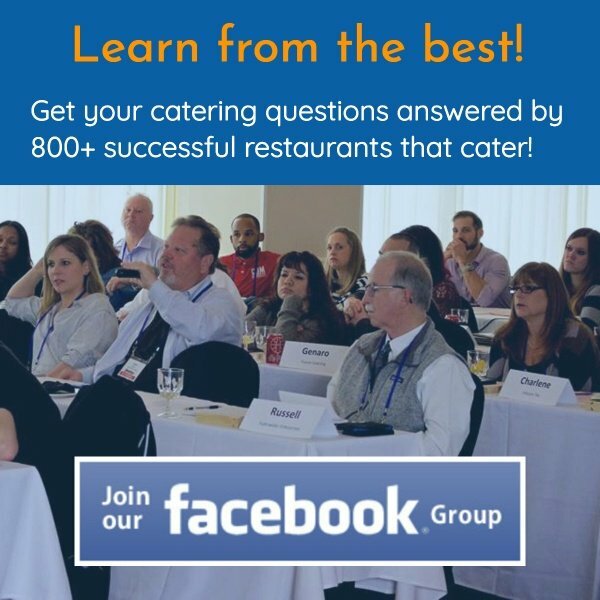 Are you consistently marketing your restaurant and catering profit center? Rolling up your sleeves for one week to “work on marketing” is a waste. I’d much rather coach a restaurant owner giving an hour each afternoon to marketing. At the end of the year, all of those focused one hour marketing work sessions will pay of big time. And success breeds success. The more the marketing returns, the more you want to do. As a restaurant owner you are pulled in a million directions; operations, accounting, staffing, maintenance, family, spouse, religion, etc. You must carve out a piece of your day for marketing. Marketing makes the register ring. If you absolutely can’t squeeze an hour to work on marketing or it’s not your thing, hire someone. There are a ton of college students majoring in marketing looking to take my brand of marketing and put it in action for you. This type of real world experience is not taught in the classroom. 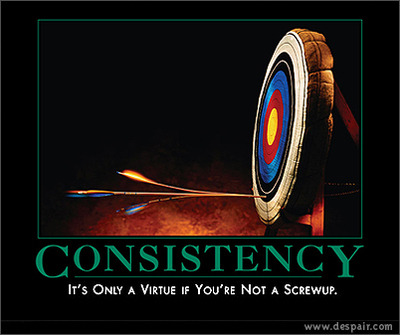 Either way, make a 21 day commitment to consistently work on your marketing. It’s the only way you’ll end up where you want to be a year from now. P.S. 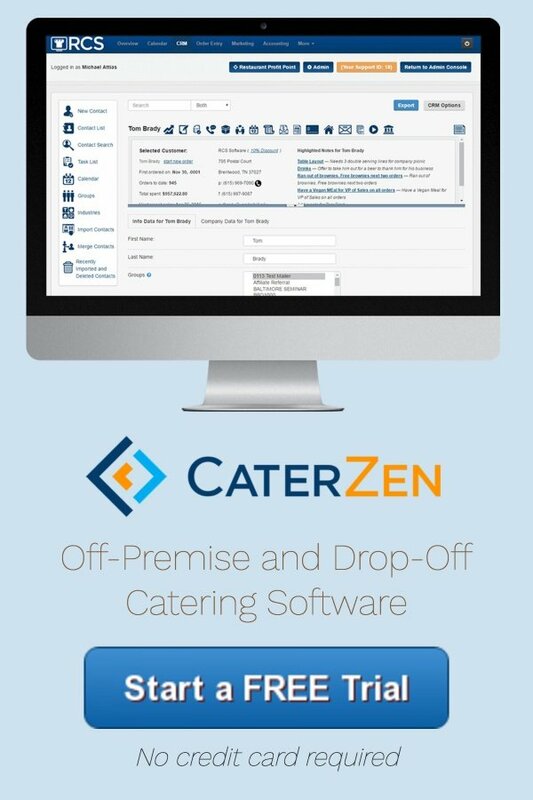 – If you need to help growing catering sales, then please go to www.RestaurantCateringSoftware.com and download my free eBook: Cater or Die!